Ezeh Hu Ashir, Sameach B’Chelko. Who is rich? One who is happy with want he has. Happiness has nothing to do with wealth. Rather, it has to do we appreciating the miracles in one’s life. Thus, Columbia’s Earth Institute decided to focus on happiness as the most important gauge of how successful a country is and its citizens are. According to the survey of 156 countries, the world’s happiest countries are Denmark, Norway, Switzerland, and Sweden. Canada comes in at #6, Australia at #10, Israel at #11, and Mexico at #16. The United States of America ranks as #17. It makes you wonder what causes one’s happiness altogether. Why are the Swiss happier than we are? Why is Canada and the United Arab Emirates happier than we are? How can one even truly define happiness? After all, happiness is a part of our identity, a part of the fabric of who we are as a nation. The initial words of the Declaration of Independence clarifies for us that all are endowed by God with certain unalienable rights, that among these are Life, Liberty and the pursuit of Happiness. Some of us spend our whole lives trying to accomplish that pursuit. Life is all about that pursuit. All we want to do is be happy. For happiness allows us to not worry about what others are doing, not worry about the problems in the world around us. Instead, it allows us to just focus on us. It allows us to be happy with whom we are. On the festival of Sukkot we sing the words: V’Semachta B’Hagecha, V’Hiyyata Ach Sameach, taken from Chapter 16 of the book of Deuteronomy, meaning And You shall rejoice in your festival and you will have nothing but joy. We are commanded to be joyful on the holiday! Furthermore, in our liturgy, we refer to Sukkot as Z’man Simchateinu , a time for our happiness and joy. What an odd command. We cannot be happy, we cannot feel an emotion, solely because we are told to do so, simply because we are commanded to do so. Rather, we are happy because we are content with our lives and our appreciative of the blessings in our lives, and the blessing of being alive. During Shabbat of Chol HaMoed Sukkot we read the book of Kohelet, the book of Ecclesiates. This book teaches us that there is a season for everything and reminds us of the importance of polarities. There is a time to be born, and a time to die; there is a time to plant and a time to reap; there is a time to laugh and a time to weep. There is a time to be happy and a time to be sad. Maybe we are told that Sukkot is a time to be joyous because it follows immediately on the heels of Yom Kippur, such a serious holiday. However, the Babylonian Talmud teaches that actually Yom Kippur is the happiest day of the year. So maybe our hope then is to carry on the supposed joy of Yom Kippur and let it last and linger into Sukkot. Whatever the reason, we feel at a loss with such a command to be happy. We as a community are still in a sense of shock follow the tragic event that took a member of our community and critically injured a child in our community. We are saddened. We are angry. We grieve. We ask and wonder how we can be happy, how can we be commanded to be happy, when our hearts continue to break, when we continue to mourn? There is a time to be sad, and there is a time to be happy. When we see such darkness in the world, such chaos, and experience such tragedy in our own community, we give up on trying to be happy. We see tragedy on the news and find it hard to smile. This is exactly why we are commanded to be happy! Maybe if we were never commanded to be happy then we wouldn’t be. Being commanded to be happy allows us to let go of the heartache and tragedy. 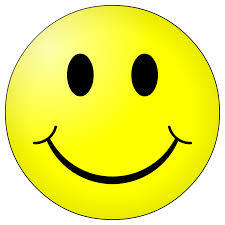 Being commanded to be happy allows us to wipe away the tears and begin to smile again. Being commanded to be happy allows us to smile. Ron Gutman focused on the importance of smiling in a TEDTalks presentation he gave. He explained that smiling – that happiness – is actually our natural state. Seeing the darkness of the world changes that, but we are actually born smiling. 3D sonograms actually show that while still in the womb, developing babies are smiling. Babies continue to smile in their sleep when they are born. He further noted that more than a 1/3 of humanity smiles more than twenty times per day, but children, who are still innocent and have yet to be exposed to some of the challenges of this world, smile as many as 400 times a day. That is why being around children make us smile. Smiling is contagious. Mekabel et Kol HaAdam b’sever Panim Yafot. Greet every person with a cheerful face, with a smile. In our smiling, may we experience the happiness that we seek, the happiness that we are commanded to find, and may such smiles and such happiness comfort us among the grief and sorrow that we all too often feel. May we all find happiness and joy in this festival and in our lives. Moadim L’Simcha and Chag Sameach. My grandfather is quite the story teller. Like most grandfathers when he tells a story the television goes off, the heads turn towards him, he grabs the attention of the entire room, and his grandchildren listen with delight. While at least the first time he tells the story. Also, like most grandfathers, my Pop-Pop tends to retell stories. We still listen. I listen with amazement. I listen with awe. My favorite story of his takes place in the early days of his career as a traveling salesman. While living in Rochester, New York, he would regularly leave my bubbe and mother to drive up and down the east coast, selling siding. He was in the home improvement business – first it was selling siding, then decks, then windows, but I think he was still selling siding at the time. He would stay at a motel for weeks at a time while in an area. While selling siding in the deep south, he befriended many of the hotel employees and elevator operators, many of whom happened to be African-American. Staying in town soon before an upcoming election, he learned that none of them were registered to vote. He organized after-hour meetings in his hotel room to help them register to vote… that was until he received threatening phone calls from the Ku Klux Klan. He eventually returned to his family in Rochester and maybe the fear of burning crosses on the front lawn caused him to return earlier than anticipated. Still, when his new friends at the hotel asked him why he was helping them, complete strangers in a town that was far from his own home, he offered a simple answer: I am Jewish, he said. I am Jewish. A powerful statement. An even more powerful explanation. Not about our belief in God, but about our belief in humanity. Not about personal practice or action, but about action towards others. Not about ethnicity, but about ethics. I am Jewish is the simple reason for Jewish involvement in the Civil Rights Movement. It is the reason for a voice of faith and a voice of reason in the fight for Marriage Equality. It is the reason we collect food to donate to the needy while fighting to end hunger and homeless. I am Jewish. It is the reason we do everything we do. It is the reason that Reform Rabbinical Seminary Hebrew Union College many years ago, while she was still living, awarded Rosa Parks an honorary doctorate for taking a stand by staying seated. I am Jewish is the reason that the Jewish Theological Seminary — where I studied, where Rabbi Lubliner studied, where Hazzan Holzer studied, where Dr. Mitzmacher studied — last year honored Civil Rights Leader — and now Congressman — John Lewis for being a youth role model during the Civil Rights Movement for action through words rather than through violence. Judaism puts specific emphasis on the 50th year of something. The Jubilee year, or the Yovel, is a time for celebration. It’s the 50th year of crop cycle. Seven represents completion – seven days of the week, seven times a partner circles around the other underneath the chuppah. So too, the seventh year in the land of Israel is the shemitah year, the sabbatical year. The land would not be tilled, indentured servants would be released. After seven cycles of this seven year cycle — forty-nine years in total, we celebrate the fiftieth year, the Yovel, the Jubilee. Last week marked a sort of Jubilee, the fiftieth anniversary of the famous March on Washington. At the time, this event was the largest organized rally in American history, and to this day, it still ranks as one of the largest rallies for human rights in our country’s short history. The event was organized as a march for jobs and freedom, but what it was really a march for civil rights, for human rights, for God-given rights. Most estimate that between 200,000 and 300,000 peacefully assembled at the National Mall, culminating their march at the Lincoln Memorial where participants heard from civil rights leaders, and faith leaders, concluding with the lasting memory of Reverend Dr. Martin Luther King Jr.’s “I have a Dream” Speech. While Dr. King gets all the credit for his inspirational words, his vision, and his dream, it was the action of others, the actions of all, that made the march happen. Bob Zellner was Field Secretary of the Student Nonviolent Coordinating Committee. His father was in the Ku Klux Klan. His grandfather was in the Ku Klux Klan. He was organizing the largest to date march for equality. Hollywood celebrities showed support with the likes of Charlton Heston, Harry Belafonte, James Garner, and Paul Newman in attendance. Julian Bond, Co-founder of the Student Nonviolent Coordinating Committee made a promise to his parents not to get arrested, not to go to jail because of these protests. He assured them that he was a pacifist, that this was a non-violent protest. Nan Orrock, now a state senator in Georgia attended the march, despite protests from her parents, despite the fact that she went to an all-white school in what was at the time the still segregated state of Georgia. As previously mentioned, John Lewis, now Representative John Lewis, was Chairman of the Student Nonviolent Coordinating Committee. He said that walking down Constitutional Ave, he witnessed all of America, “people from coming from all over the country to bear witness, to participate. Many of the people were well dressed. It was like going to church or temple or synagogue,” he said. People were dressing up for worship for they were worshipping, for regardless of faith, they were participating in prayer, they were acting as God’s messengers in this world. Speaking at the Jubilee event, the 50th anniversary commemoration of the March on Washington, President Obama said that this was about more than just the African-American community. He said, “they marched and America became more free and more fair” and I would add more just, “not just for African-Americans, but for women and Latinos, Asians and Native Americans, for Catholics, Jews and Muslims, for Gays, and for Americans with disabilities.” At it’s core, this March on Washington was truly about justice. Our High holy Day Machzor explains that justice is the ultimate principle by which the world exists. The biblical standard of justice is always defined by the treatment of the poor, the weak, the powerless, the infirm, the unprotected. God’s care is especially directed towards the most vulnerable, and societies are judged by how they are treated. The lack of justice is the undoing of God’s creation. This event, this March, ultimately was about justice, but at its core, it was a spiritual event. It was a spiritual experience. As Representative Lewis said, they were dressing up for worship. They were dressing up because they were worshipping; they were praying, God was present. Martin Luther King Jr. is often remembered as a freedom fighter for equal rights and for human rights. Most importantly though, he was a man of faith. He was a faith leader with the spirit of God — Ruach Elohim, as we call it in Judaism — and the faith community, she said, must continue to lead every movement for justice and equality. Rabbi Isaac Luria, the Ari, the 16th century Jewish mystic, was teaching about Judaism’s movement towards justice 500 years ago. He taught that we are God’s partner in the creation of the world. The first to use the term Tikkun Olam, Repairing the World, he suggested that Adonai created humans to remedy an error in the Divine creation of this world. We were created to ensure the equality and justice that God hoped to create. We are created to act. So this morning, we act. Our three pillars program this morning introduced us to the core Mishnaic teaching that the world rests on three pillars, on the pillar of Torah Study, on the pillar of Avodah, Prayer, and on the pillar of Gemilut Hasadim, Social Action and Social Justice. To suggest that these three pillars hold up this world means that each pillar is an integral part of this world; each pillar is an integral part of our faith. If we only focus on one and not the other, the world will collapse. Additionally, this message reminds us that these three pillars on which the world stands are of equal importance. Prayer is just as important as Torah study. Acts of Kindness and Justice are just as important as prayer and study. More striking, Prayer and Study are meaningless without Acts of Kindness and Justice. Even as we wrestle with God, even as we teach and learn Torah, with the pillar of Justice missing, the world will still collapse. Acts of Kindness, and Acts of Justice, are Acts of Torah study, rooted in the scriptural core of our faith. Acts of Kindness and Acts of Justice are Acts of Prayer and Worship, to use Rabbi Abraham Joshua Heschel’s metaphor, when we act, we pray with our feet. We did that on a small scale this morning through social action. 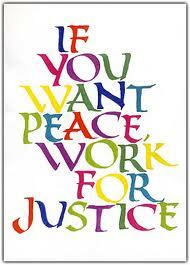 We do that on the greater scale through social justice. I was hesitant to share my vision, my belief for our need for justice, to pursue justice, even if our liturgy speaks of it, even if the words of rabbinic literature speak of it, even if Torah speaks of it. I thought twice because I fear – I know – that some think I speak about our need to do justice too much. I worried about pigeon-holing myself, constricting the Torah that I teach. I worried about being viewed as the rabbi who only speaks about our need to repair the world. Then, I realized that this is why we do all that we do. Every single thing we do, every teaching of our tradition, every attempt to bring ourselves closer to God, every attempt to immerse ourselves in ritual, is meant to ignite a spark to act as the angels of God, the messengers of God, that we are. Every teaching of Torah, every spiritual experience, is meant to fuel the fire, so that that spark within us turns into a towering flame, like the Ner Tamid, the Eternal Flame above our ark, our Aron Kodesh, a towering flame to walk in God’s ways, and do God’s will. I was worried that these thoughts would be seen as political or divisive. But then I said three simple words. Three words that my grandfather said to me. Three words that are the reason we do what we do. I AM JEWISH. For if we do not care about repairing the world, if we do not care about making this world a better place, if we do not care about the rights of other, if we do not care about honoring God, through honoring God’s creatures, made in God’s image, if we do not care about justice and equality, then nothing else we do as Jews matters. So we get up. We stand up. We do, and we act. The new year is about renewal. It is about change – changing our ways and ridding ourselves of the apathy that too often exists. The disturbing liturgy of the U’Netaneh Tokef prayer during the Musaf Amidah speaks of the reality of the injustices that surrounds us: Some will live and some will die. Some will live a long happy life while others will leave this world long before their time. Some will die of hunger and thirst; some will die of plague; some will be impoverished and some will be enriched; some will be brought low and some will be raised up. Some will feel at peace while others will live a life of trouble. The liturgy speaks of the injustice that exists. Yet, we are also charged by this same liturgy to change that reality. We recite: U’Teshuvah, U’Tefillah, U’Tzedakah Ma’avirim et-Roah Hagezerah. Despite the darkness of this world, despite the chaos that surrounds us, the injustice that is reality, we are taught that through Teshuvah, through Repentance, through Tefillah, through Connection with God, and through Tzedakah – not charity, but true justice – we can change the harsh reality. The U’netaneh Tokef begs us to change ourselves and to change the world, to turn our world from a world of chaos to a world of calm. We spent the month of Elul doing Teshuvah. We spend the Chagim, the High Holy Days — and God-willing every day — making time for prayer. And we leave the sanctuary, the synagogue, inspired and charged to participate in true justice, to fulfill God’s promise. God’s promise is heard in the prophetic charges in our Bible. We hear the demand of the prophet Micah, when he says: What does God require of us? To do justice, to love kindness, and walk humbly with God. We hear the prayer of the prophet Amos: Let justice roll down like waters And righteousness like an ever-flowing stream. Those words echoed off the marble pillars of the Lincoln Memorial when Reverend King preached them during his “I Have a Dream” speech fifty years ago. That was not his speech, that was his prayer. That was God’s word. According to King’s speechwriter, Clarence B. Jones, King’s speech was all set the night before. Sitting in his hotel room with seven advisors, his words were put on paper. The press was given advanced copies of his speech the morning of the March on Washington and it looked nothing like the speech he gave. It begins the same, with Reverend King carefully sticking to the script. However, after a brief moment of silence, Gospel singer Mahalia Jackson, who sang at the event earlier in the day, shouted to Dr. King, “tell ‘em about the dream.” Next thing you know, King pushed aside the text and shifted gears. The speechwriter leaned over to the person next to him and said: the people don’t know it yet, but they’re about to go to church. They’re about to go to synagogue. They’re about to go to services. In that dream, he quoted the words of Amos. He quoted the Psalmist. He quoted the prophet Isaiah. “The work is great and large, and we at times feel separated from one another. But when we hear the sounding of the shofar, the blasts of the shofar, we hear God. For God is on our side.” God is on the side of justice. So as we go ahead, in the new year, as we pursue justice, as we pursue peace, let us keep one thought in our minds to guide us: I am Jewish. Shanah Tovah. With the month of Elul coming to a close, and Rosh Hashanah only hours away, the Pop Elul Project has concluded… at least for this year. Like the blast of the shofar, I hope the Pop Elul Project assisted in spiritually waking us up, to prepare ourselves, and purify ourselves for the year ahead. I am honored to share that the Pop Elul Project was picked up and shared by the Hollywood Journal. The Hollywood Journal strives to share soulful wisdom and spirituality in a world of pop culture too often focused on fame and celebrity status. I believe that the Pop Elul Project’s inclusion in the Hollywood Journal is just another example of how Judaism has entered the public marketplace and how Jewish thought, wisdom, ethics, and values are not only limited to the Jewish community. Rather, they are an asset to all of humanity. Furthermore, the teachings and reflections that prepare us for the New Year during Elul are not only limited to the month of Elul and this Season of Awe and Amazement. They are important reminders for us throughout the year. We all need a wake up call every now and again. So I invite you to check out the entire month’s reflections for the Pop Elul Project at popelul.com or check out how Judaism has entered the marketplace of ideas by checking out the Pop Elul Project on the Hollywood Journal’s website. Shana Tova! May this be a year of happiness, health, and love!